We are at a turning point for delivering on the promise to end child and maternal mortality and improve health – marked by bold new commitments. This strategic framework supports one such commitment, the ‘Global Plan Towards the Elimination of New HIV Infections among Children by 2015 and Keeping their Mothers Alive’. It offers guidance for preventing HIV infections and unintended pregnancies – both essential strategies for improving maternal and child health, and eliminating new paediatric HIV infections. especially the health of their children. Adequate resources—human and financial—are available from both national and international sources in a timely and predictable manner while acknowledging that success is a shared responsibility. HIV, maternal health, newborn and child health, and family planning programmes work together, deliver quality results and lead to improved health outcomes. Communities, in particular women living with HIV, enabled and empowered to support women and their families to access the HIV prevention, treatment and care that they need. National and global leaders act in concert to support country-driven e#orts and are held accountable for delivering results. The goal of the Global Plan is to move towards eliminating new HIV infections among children and keeping their mothersalive. This plan focuses on reaching pregnant women living with HIV and their children—from the time of pregnancy until the mother stops breastfeeding. Prior to pregnancy, and after breastfeeding ends, HIV prevention and treatment needs of mothers and children will be met within the existing continuum of comprehensive programmes to provide HIV prevention, treatment, care and support for all who need it. Reduce the number of new HIV infections among children by 90% . Over the past decade, countries have made impressive progress in rolling out programmes to stop new HIV infections among children. The prevalence of HIV infection has declined in many countries since 2005 and country-led action has rapidly increased the number of pregnant women living with HIV receiving prevention services including antiretroviral drugs to prevent HIV transmission to their children. Some progress has also been made in providing family planning services to women living with HIV. Many low- and middle-income countries had achieved at least 80% coverage of services to prevent HIV transmission to children by December 2009, with global coverage reaching 53%. These include high HIV burden countries such as Botswana, Namibia, South Africa and Swaziland; as well as several countries with concentrated HIV epidemics including Argentina, Brazil, the Russian Federation, Thailand and Ukraine. However, a large number of women continue to receive sub-optimal drugs such as single-dose nevirapine as the main HIV prophylaxis. This must be phased out as a matter of priority, in accordance with recent WHO guidelines. Almost all countries include programmes for prevention of new HIV infections among children in their national AIDS plans. A large number have also set ambitious targets. The road towards the elimination of new HIV infections among children and keeping their mothers alive will build on this progress. 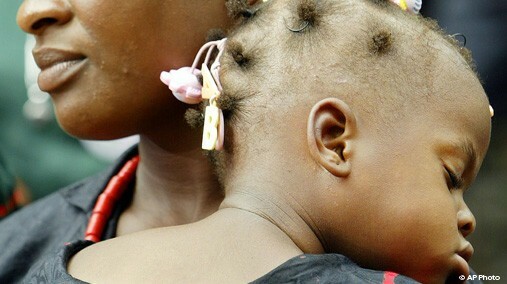 It will also leverage broader reports to improve maternal and child health, the technical expertise of other countries, the aid effectiveness agenda, renewed engagement of regional bodies for South–South cooperation, as well as developments in research and policy for focused and simplied treatment regimens and interventions in order to accelerate action. To stop new HIV infections among children and to keep their mothers alive, current programme approaches must be transformed. Such change must be guided by a set of four overarching principles. 1] Women living with HIV at the centre of the response. National plans for eliminating new HIV infections among children and keeping their mothers alive must be firmly grounded in the best interests of the mother and child. Mothers and children must have access to optimal HIV prevention and treatment regimens based on latest guidelines. Women living with HIV must also have access to family planning services and commodities. The process of developing and implementing programmes must include the meaningful participation of women, especially mothers living with HIV to tackle the barriers to services and to work as partners in providing care. In addition, efforts must be taken to secure the involvement and support of men in all aspects of these programmes and to address HIV- and gender-related discrimination that impedes service access and uptake as well as client retention. Leadership and responsibility for developing national plans towards eliminating new HIV infections among children and keeping their mothers alive lie with each country. As countries are at different stages of programme implementation, context-specific operational plans are required. Each country, led by its Ministry of Health will take the lead in all processes of priority setting, strategic planning, performance monitoring, and progress tracking, in close collaboration with other critical stakeholders, including networks of women living with HIV, civil society, private sector, bilateral and international organizations. To make country ownership a reality all policies and programmes must align with the “Three Ones” principles for coordinated country action, which call for all partners to support: one national action framework, one national coordinating mechanism, and one monitoring and evaluation system at country level. This approach will ensure the most effective and efficient use of resources to support progress, as well as the identification and fulfilling of any technical support and capacity-building needs. 3] Leveraging synergies, linkages and integration for improved sustainability. National plans must leverage opportunities to strengthen synergies with existing programmes for HIV, maternal health, newborn and child health, family planning, orphans and vulnerable children, and treatment literacy. This integration must fit the national and community context. HIV prevention and treatment for mothers and children is more than a single intervention at one point in time in the perinatal period. Instead it should be seen as an opportunity for a longer continuum of care engagement with other essential health services, without losing the focus on HIV prevention, treatment and support for mothers and children. This includes addressing loss to follow-up through strong and effective mechanisms for referral and entry into treatment and care for infants diagnosed with HIV and for their mothers who require treatment after pregnancy and breastfeeding, as well as greater communityengagement in HIV and other health service delivery and programme monitoring. Through powerful synergies, the Global Plan will make significant contributions to achieving the health-related and gender related Millennium Development Goals (MDGs) and the United Nations Secretary- General’s Global Strategy for Women’s Children’s Health. Such synergies are all the more important in countries where HIV currently accounts for a significant proportion of all adult female and/or child mortality and the AIDS epidemic is impeding progress in reducing child mortality (MDG 4) and improving maternal health (MDG 5). 4] Shared responsibility and specific accountability. Shared responsibility—between families, communities and countries—for stopping new HIV infections among children and keeping their mothers healthy is vital. Access to HIV prevention, treatment and support services is critical for mothers and their children. Health services must be responsive to the needs of pregnant and postnatal women living with HIV and to the ongoing needs of these mothers, their partners and families. Communities must support pregnant women and their partners in accessing HIV testing and counselling services without stigma and discrimination, and national and subnational authorities must exert their concerted leadership to enable this to happen. Low- and middleincome countries and development partners must make adequate human and financial resources available and adopt evidence-informed policies. Regional bodies should be called on to support improved efficiencies and support countries with the necessary frameworks for cooperation and accountability. The roles and responsibilities of all partners must be specific and transparent and have clear indicators to measure progress and accountability. Provide informed and transformative leadership to make the elimination of new HIV infections among children and keeping their mothers alive a high priority at national, regional and local levels and maximize strategic opportunities for collective action. Ensure that countries have a current, country-driven comprehensive and costed plan covering implementation at the national, district and subdistrict levels, including: identifying and addressing policy, programmatic, and managerial barriers to progress. Increase both domestic and external investments for programmes based on a robust gap analysis. Remove financial obstacles such as user fees that hinder women from seeking services; protect health budgets impacting elimination of new HIV infections among children and keeping their mothers alive from reductions and cutbacks. Address HIV- and gender-related stigma and discrimination and other related barriers to the effective uptake of essential services and client retention. HIV transmission among children and programmes for maternal, newborn, child and reproductive health to save lives. Ensure that investments are made in scaling up services, in creating demand for services, and in removing barriers to access and sustained use. Ensure that a fit-for-purpose approach is implemented at all levels including the necessary financial and human resources. HIV programmes are implemented and develop a performance-based accountability framework. Strengthen strategic alliances to improve the sustainability of the response to HIV, such as by manufacturing AIDS-relatedsupplies and equipment where appropriate. Advocate for the elimination of new HIV infections among children and keeping their mothers alive within the business community. Support scaled up and accelerated programmatic responses, including more efficient service delivery models. Strengthen innovations and simplificationin service delivery instruments such as HIV diagnostics and drug regimens. Provide lessons from the private sector that can be used in the health care service delivery systems, such as logistics and resource management supply chain management. directly support implementation in a country and provide technical support in these areas. Ensure comprehensive services for prevention of mother-to-child transmission of HIV for employees and communities, for employees based in high-burden countries; provide responsive leadership involving men and women. We believe that by 2015, children everywhere can be born free of HIV and their mothers remain alive. 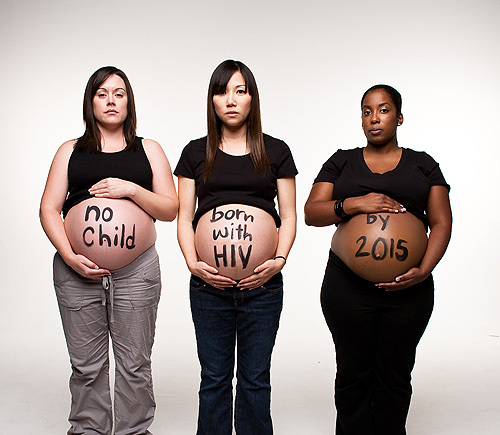 What can YOU DO to Stop HIV in the birth of the next child born? A Celebration of Women TM Foundation is working to build Safe Houses that will assist not only in the health and growth of women and children, they will enable further education for young women around the globe. Those who pass through Celebration House TM will become healthy, Future Women Leaders that go back into their communities and Take Action.